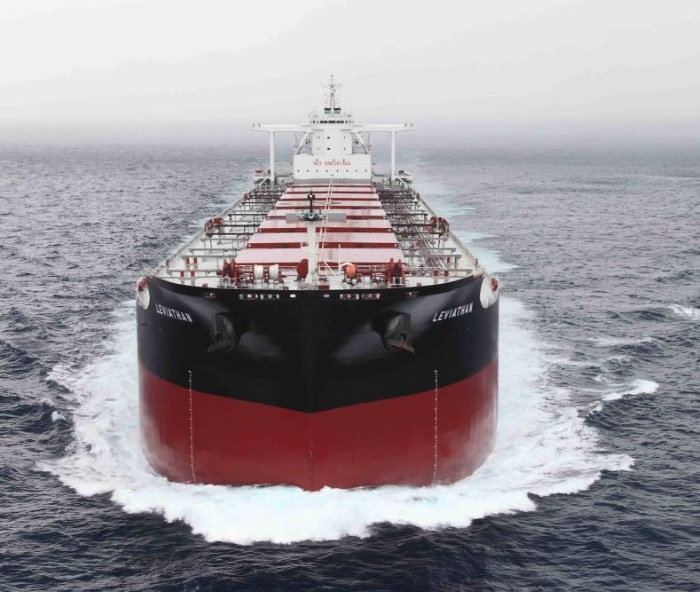 Star Bulk Carriers Corp., a global shipping company focusing on the transportation of dry bulk cargoes, announced its unaudited financial and operating results for the second quarter and the first half of 2018. EBITDA and Adjusted EBITDA are non-GAAP measures. To derive Adjusted EBITDA from EBITDA, we exclude non-cash gains / (losses). Adjusted Net income / (loss) and Adjusted earnings / (loss) per share basic and diluted are non-GAAP measures. Please see the table at the back of this release for a reconciliation to Net income / (loss), which is the most directly comparable financial measure calculated and presented in accordance with U.S. GAAP. Daily Time Charter Equivalent Rate (“TCE”) and TCE Revenues are non-GAAP measures. Please see the table at the back of this release for a reconciliation to Voyage Revenues, which is the most directly comparable financial measure calculated and presented in accordance with U.S. GAAP. Average daily Net Cash G&A expenses per vessel is calculated by (1) deducting the Management fee Income from, and (2) adding the Management fee expense to, the General and Administrative expenses (net of stock-based compensation expense) and (3) then dividing the result by the sum of Ownership days and Charter-in days. “We are pleased to report the third consecutive profitable quarter, where we achieved $90.0 million in TCE Revenues, $52.0 million in Adjusted EBITDA and $13.4 million in Adjusted Net Income for Q2 2018. Our average TCE for the quarter continued to increase quarter on quarter to $13,567/ day per vessel, while daily Opex and Net Cash G&A expenses per vessel were held at $3,996/day and $1,072/day respectively. As of today, we have fixed 60% of Q3 2018 days at average TCE rates of $13,882 / day. We are happy to have closed all three of our recently announced acquisitions adding 34 high quality vessels with an average age of 5.2 years and average size of 119,105 dwt. Our Board of Directors has been enhanced with the addition of Raffaele Zagari and Arne Blystad, while Herman Billung has joined our management team. -On June 28, 2018, we closed the previously announced acquisition of three newbuilding Newcastlemax dry bulk vessels (“OCC Vessel Purchase Transaction”), from Oceanbulk Container Carriers LLC (“OCC”), an entity affiliated with Oaktree Capital Management, L.P. (“Oaktree”) and with family members of our CEO, Mr. Petros Pappas (“Pappas Shareholders”). The final consideration for the OCC Vessel Purchase Transaction was 3.3 million of our common shares. The three vessels are being constructed at Shanghai Waigaoqiao Shipbuilding Co. (“SWS”), with expected delivery dates in the first half of 2019. CSSC (Hong Kong) Shipping Company Limited has agreed to provide $104.4 million to finance the remaining $103.8 million capital expenditure of the three vessels via a ten-year capital lease. -On July 6, 2018 we closed the previously announced acquisition of 15 operating dry bulk vessels (the “Songa Vessels”) from Songa Bulk ASA (“Songa”) for an aggregate of 13.7 million of our common shares (the “Songa Consideration Shares”) and $145.0 million in cash (the “Songa Vessel Purchase Transaction”). The cash portion of the consideration was financed through proceeds of a new five-year capital lease of $180.0 million with China Merchants Bank Leasing, thus offering approximately $35.0 million of additional liquidity. Following the closing of the Songa Vessel Purchase Transaction, Mr. Arne Blystad was appointed to our Board of Directors as Class C Director and Mr. Herman Billung joined our management team as Senior Vice President. As part of this transaction, we commenced trading on the Oslo Stock Exchange under the ticker “SBLK R” on July 16, 2018. The Songa Consideration Shares will be restricted from trading in the U.S. for a period of six months following the distribution of the Songa Consideration Shares to the shareholders of Songa, unless they are sold pursuant to a transaction exempt from, or not subject to, registration under the Securities Act of 1933, as amended (the “Act”). The offer and sale of the Songa Consideration Shares will not be registered under the Act, and they may not be offered or sold in the United States absent registration or an applicable exemption from the registration requirements under the Act. -On August 3, 2018, we closed the previously announced acquisition of 16 operating dry bulk vessels (the “Augustea Vessels”) from entities affiliated with Augustea Atlantica SpA and York Capital Management in an all-share transaction (the “Augustea Vessel Purchase Transaction”). An entity affiliated with family members of our CEO, Mr. Petros Pappas, is a passive minority investor in three of the Augustea Vessels. Following the completion of this transaction, Mr. Raffaele Zagari was appointed to our Board of Directors. The final consideration for the Augustea Vessel Purchase Transaction was 10.3 million common shares of the Company. As part of this transaction, we assumed debt of approximately $309.0 million. Following the consummation of all three transactions above, we have 91,521,052 common shares outstanding as of the date of this press release. -In July, 2018, we entered into a committed term-sheet with HSBC Bank plc for a loan of $80.0 million (or the “HSBC $80,000 Facility”), to refinance the full amounts outstanding under the HSBC$86,600 Facility and the HSH $64,500 Facility (each as defined in the 2017 20-F). The loan will be secured by a first priority mortgage on the vessels previously pledged under the two refinanced facilities. We expect to draw down the loan amount of $80.0 million in the third quarter of 2018. The loan will be repayable in 20 equal quarterly installments of $2.4 million and a balloon payment along with the last installment in an amount of $32.4 million. The completion of the transaction is subject to the execution of customary definitive documentation. -On July 27, 2018, we paid an aggregate amount of $22.7 million in total to all parties under our Supplemental Agreements (as defined in the 2017 20-F) pursuant to the cash sweep mechanism in the Supplemental Agreements. -On June 26, 2018, we announced a secondary public offering of 5,000,000 of our common shares held by a fund affiliated with Oaktree Capital Management, L.P. The offering closed on June 29, 2018 at a price of $13.10 per share. The Company did not sell any common shares and did not receive any proceeds as a result of this offering. As of today, we have fixed employment for approximately 60% of the days in Q3 2018 at average TCE rates of $13,882 per day. 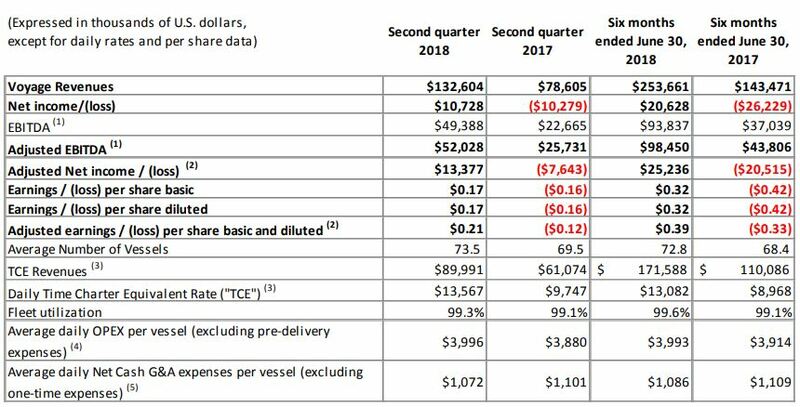 Capesize Vessels: approximately 46% of Q3 2018 days at $19,848 per day. 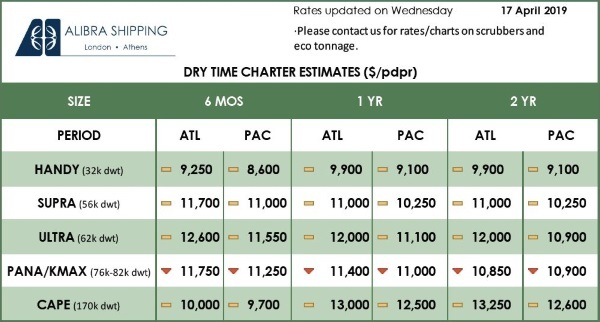 Panamax Vessels: approximately 64% of Q3 2018 days at $12,252 per day. Supramax Vessels: approximately 70% of Q3 2018 days at $11,689 per day. (*) Amounts relating to variations in period-on-period comparisons shown in this section are derived from the actual numbers in our books and records. For the second quarter of 2018, time charter equivalent revenues (“TCE Revenues”) (total voyage revenues net of voyage expenses and charter-in hire expense) excluding Star Logistics (as further discussed in footnote 8 under the heading “Summary of Selected Data”) were $90.0 million, compared to $61.1 million for the second quarter of 2017. Total revenues for the second quarter of 2018 increased to $132.6 million from $78.6 million in the second quarter of 2017. This increase was primarily attributable to the significant rise in charter hire rates, which led to a TCE rate of $13,567 for the second quarter of 2018 compared to a TCE rate of $9,747 for the second quarter of 2017, representing a 39% increase. TCE Revenues also increased as a result of an increase in the average number of vessels in our fleet to 73.5 in the second quarter of 2018, up from 69.5 in the second quarter of 2017, which caused an increase in Available days for our fleet. Absent the adoption of the new revenue recognition standard (ASC 606) in January 2018, which has only prospective application with no effect to prior year figures, our TCE rate for the second quarter of 2018 would have been $13,598. For the second quarter of 2018, operating income was $27.3 million, which includes depreciation of $22.1 million. Operating income of $2.0 million for the second quarter of 2017 included depreciation of $20.7 million. Depreciation increased during the second quarter of 2018 due to a higher average number of vessels in our fleet. Net income for the second quarter of 2018 was $10.7 million, or $0.17 earnings per share, basic and diluted, based on 64,233,289 weighted average basic shares and 64,633,668 weighted average diluted shares, respectively. Net loss for the second quarter of 2017 was $10.3 million, or $0.16 loss per share, basic and diluted, based on 63,336,657 weighted average basic and diluted shares. -Unrealized gain on forward freight agreements and bunker swaps of $1.3 million, or $0.02 per share, basic and diluted. -Unrealized gain on interest rate swaps of $0.4 million or $0.006 per share, basic and diluted. Adjusted net income for the second quarter of 2018, which excludes major non-cash items other than depreciation expense, was $13.4 million, or $0.21 earnings per share, basic and diluted, compared to adjusted net loss of $7.6 million, or $0.12 loss per share, basic and diluted, for the second quarter of 2017. A reconciliation of Net income / (loss) to Adjusted Net income/ (loss) and Adjusted earnings / (loss) per share basic and diluted is set forth below in the financial tables contained in this release. Adjusted EBITDA for the second quarter of 2018 and 2017, which excludes all non-cash items, was $52.0 million and $25.7 million, respectively. A reconciliation of EBITDA and Adjusted EBITDA to net cash provided by/(used in) operating activities is set forth below in the financial tables contained in this release. For the second quarter of 2018 and 2017, vessel operating expenses were $27.4 million and $25.1 million, respectively. This increase was primarily due to the increase in the average number of vessels from 69.5 to 73.5. Vessel operating expenses for the second quarter of 2018 include pre-delivery and pre-joining expenses of $0.7 million incurred mainly in connection with the delivery of the Star Magnanimus and Star Leo, which were delivered in March and May 2018, respectively. For the second quarter of 2017 operating expenses included pre-delivery and pre-joining expenses of $0.6 million. Excluding these expenses, our average daily operating expenses per vessel for the second quarter of 2018 were $3,996, vs. $3,880 for the same period in 2017. Dry docking expenses for the second quarters of 2018 and 2017 were $2.1 million and $1.9 million, respectively. During the second quarter of 2018, two of our vessels underwent their periodic dry docking surveys, while during the second quarter of 2017, three of our vessels underwent their periodic dry docking surveys, one of which had started during the first quarter of 2017. General and administrative expenses for the second quarters of 2018 and 2017 were $10.4 million and $9.3 million, respectively. The formation of our new subsidiary, Star Logistics, and a higher EUR/USD exchange rate during the second quarter of 2018 compared to the corresponding period in 2017 resulted in higher wage expenses, and thus had a negative effect on our general and administrative expenses. Additionally, general and administrative expenses for the second quarter of 2018 include stock-based compensation expense of $3.9 million. During the same quarter of 2017, general and administrative expenses included stock-based compensation expense of $3.7 million and legal fees of $0.4 million in connection with the restructuring of our indebtedness. Excluding these costs, our average daily net cash general and administrative expenses per vessel (including management fees) for the second quarter of 2018 were reduced to $1,072 from $1,101, during the second quarter of 2017. Charter-in hire expense for the second quarters of 2018 and 2017 was $24.3 million and $0.9 million, respectively. 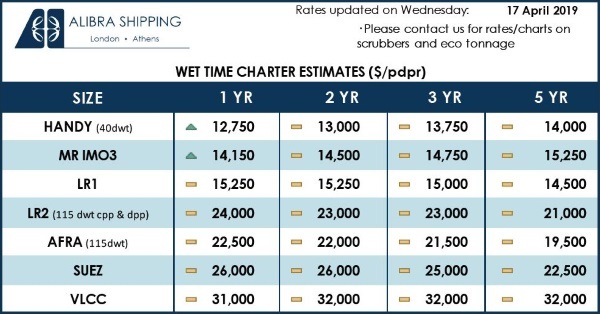 The increase in charter-in hire expense was due to an increase in charter-in days from 91 in the second quarter of 2017, attributable to charter-in of the vessel Astakos, to 1,157 in the second quarter of 2018, attributable to the activities of our new subsidiary Star Logistics, which was created in the fourth quarter of 2017 to connect the origination and the destination of dry bulk commodities. Interest and finance costs net of interest and other income/ (loss) for the second quarters of 2018 and 2017 were $16.6 million and $12.0 million, respectively. The increase is attributable to the increase in (i) LIBOR between the corresponding periods, (ii) the weighted average balance of our outstanding indebtedness of $1,063.4 million during the second quarter of 2018 compared to $1,038.4 million for the same period in 2017 and (iii) the negative effect of exchange rates on our time deposits held in Euros due to unfavorable movement in EUR/USD exchange rates during the second quarter of 2018 compared to the corresponding period in 2017, partially offset by higher interest income earned due to higher outstanding cash balances held in time deposits during the respective periods. For the first half of 2018, time charter equivalent revenues (“TCE Revenues”) (total voyage revenues net of voyage expenses and charter-in hire expense) excluding Star Logistics (as further discussed in footnote 8 under the heading “Summary of Selected Data”) were $171.6 million, compared to $110.1 million for the first half of 2017. Total revenues for the first half of 2018 increased to $253.7 million from $143.5 million in the corresponding period in 2017. This increase was primarily attributable to the significant rise in charter hire rates, which led to a TCE rate of $13,082 for the first half of 2018 compared to a TCE rate of $8,968 for the first half of 2017, representing a 46% increase. TCE Revenues also increased as a result of an increase in the average number of vessels in our fleet to 72.8 in the first half of 2018, up from 68.4 in the first half of 2017, which caused an increase in Available days for our fleet. Absent the adoption of the new revenue recognition standard (ASC 606) in January 2018, which has only prospective application with no effect to prior year figures, our TCE rate for the first half of 2018 would have been $13,022. For the first half of 2018, operating income was $50.5 million, which includes depreciation of $43.2 million. Operating loss of $3.3 million for the first half of 2017 included depreciation of $40.4 million and a net loss on sale of vessels of $0.4 million. Depreciation increased during the first half of 2018 due to a higher average number of vessels in our fleet. Net income for the first half of 2018 was $20.6 million, or $0.32 earnings per share, basic and diluted, based on 64,170,654 weighted average basic shares and 64,468,860 weighted average diluted shares, respectively. Net loss for the first half of 2017 was $26.2 million, or $0.42 loss per share, basic and diluted, based on 62,188,645 weighted average basic and diluted shares. -Unrealized gain on forward freight agreements and bunker swaps of $0.3 million, or $0.01 per share, basic and diluted. -Write-off of unamortized deferred finance charges of $0.4 million or $0.01 per share, basic and diluted, in connection with the cancellation of a previous loan commitment. Adjusted net income for the first half of 2018, which excludes major non-cash items other than depreciation expense, was $25.2 million, or $0.39 earnings per share, basic and diluted, compared to adjusted net loss of $20.5 million, or $0.33 loss per share, basic and diluted, for the first half of 2017. A reconciliation of Net income / (loss) to Adjusted Net income/ (loss) and Adjusted earnings / (loss) per share basic and diluted is set forth below in the financial tables contained in this release. Adjusted EBITDA for the first half of 2018 and 2017, which excludes all non-cash items, was $98.5 million and $43.8 million, respectively. A reconciliation of EBITDA and Adjusted EBITDA to net cash provided by/(used in) operating activities is set forth below in the financial tables contained in this release. For the first half of 2018 and 2017, vessel operating expenses were $53.7 million and $49.6 million, respectively. This increase was primarily due to the increase in the average number of vessels from 68.4 to 72.8. Vessel operating expenses for the first half of 2018 and 2017 include pre-delivery and pre-joining expenses of $1.1 million in both periods incurred mainly in connection with the delivery of the new vessels in our fleet during each period. Excluding these expenses, our average daily operating expenses per vessel for the first half of 2018 were $3,993, compared to $3,914 in the same period in 2017. Dry docking expenses for the first half of 2018 and 2017 were $3.3 million and $3.2 million, respectively. During the first half of 2018, two of our vessels underwent their periodic dry docking surveys, while during the first half of 2017, four of our vessels underwent their periodic dry docking surveys, three of which were completed during this period. However, additional dry docking expenses were incurred during the first half of 2018, due to upcoming dry docking surveys in the second half of 2018. General and administrative expenses for the first half of 2018 and 2017 were $17.7 million and $17.3 million, respectively. The formation of our new subsidiary, Star Logistics, and a higher EUR/USD exchange rate during the first half of 2018 compared to the corresponding period in 2017 resulted in higher wage expenses, and thus had a negative effect on our general and administrative expenses. Additionally, general and administrative expenses for the first half of 2018 include stock-based compensation expense of $5.0 million. During the same period in 2017, general and administrative expenses included stock-based compensation expense of $6.4 million and legal fees of $0.7 million in connection with the restructuring of our indebtedness. Excluding these expenses, our average daily net cash general and administrative expenses per vessel (including management fees) for the first half of 2018 were reduced to $1,086 from $1,109, during the first half 2017. During the first half of 2017, we recognized other operational gain of $2.5 million resulting from the settlement proceeds of a commercial dispute. During the first half of 2017, we recognized a net loss of $0.4 million, in connection with the sale of Star Eleonora. Charter-in hire expense for the first half of 2018 and 2017 was $40.8 million and $1.7 million, respectively. The increase in charter-in hire expense was due to an increase in charter-in days from 181 in the first half of 2017, attributable to charter-in of the vessel Astakos, to 2,085 in the first half of 2018, attributable to the activities of our new subsidiary Star Logistics, which was created in the fourth quarter of 2017 to connect the origination and the destination of dry bulk commodities. Interest and finance costs net of interest and other income/ (loss) for the first half of 2018 and 2017 were $29.9 million and $22.5 million, respectively. The increase is attributable to the increase in (i) LIBOR between the corresponding periods, (ii) the weighted average balance of our outstanding indebtedness of $1,054.3 million during the first half of 2018 compared to $1,007.5 million for the same period in 2017 and (iii) the negative effect of exchange rates on our time deposits held in Euros due to unfavorable movement in EUR/USD exchange rates during the second quarter of 2018 compared to the corresponding period in 2017, partially offset by higher interest income earned due to higher outstanding cash balances held in time deposits during the respective periods. Net cash provided by operating activities for the first half of 2018 was $61.1 million, whereas net cash provided by operating activities for the first half of 2017 was $20.1 million. The positive change was due to the significant recovery of the dry bulk market during the first half of 2018, which resulted in a significantly higher TCE rate of $13,082 compared to $8,968 for the first half of 2017 and is also reflected in the increase of Adjusted EBITDA to $98.5 million for the first half of 2018 from $43.8 million for the corresponding period in 2017. This positive effect was partially offset by (i) a net working capital outflow of $6.9 million during the first half of 2018 compared to a net working capital outflow of $1.7 million for the first half of 2017 and (ii) by higher net interest expense for the first half 2018 compared to the corresponding period in 2017. Net cash used in investing activities for the first half of 2018 and 2017 was $115.6 million and $109.0 million, respectively. For the first half of 2018, net cash used in investing activities mainly consisted of $115.9 million paid for advances and other capitalized expenses for our newbuilding and newly delivered vessels delivered during the period. -$7.7 million of proceeds from the sale of vessels. Net cash provided by financing activities for the first half of 2018 and 2017 was $21.5 million and $140.6 million, respectively. -$108.7 million paid in aggregate in connection with: (i) the regular amortization of outstanding vessel financings and capital lease installments of $43.1 million and (iii) $65.6 million of excess cash for the quarters ended December 31, 2017 and March 31, 2018, paid pursuant to the cash sweep mechanism in our Supplemental Agreements, during the first half 2018. -$0.7 million of financing fees, paid in connection with the restructuring of our indebtedness. To derive Adjusted EBITDA from EBITDA and Adjusted Net income/(loss) from Net income/(loss), we excluded non-cash gains/losses such as those related to sale of vessels, stock-based compensation expense the write-off of the unamortized fair value of above-market acquired time charters, impairment losses, the write-off of claims receivable, change in fair value of forward freight agreements and bunker swaps and the equity in income/(loss) of investee, if any. We excluded the items described above when deriving Adjusted EBITDA and Adjusted Net income/(loss) because we believe that these items do not reflect the ongoing operational cash inflows and outflows of our fleet.